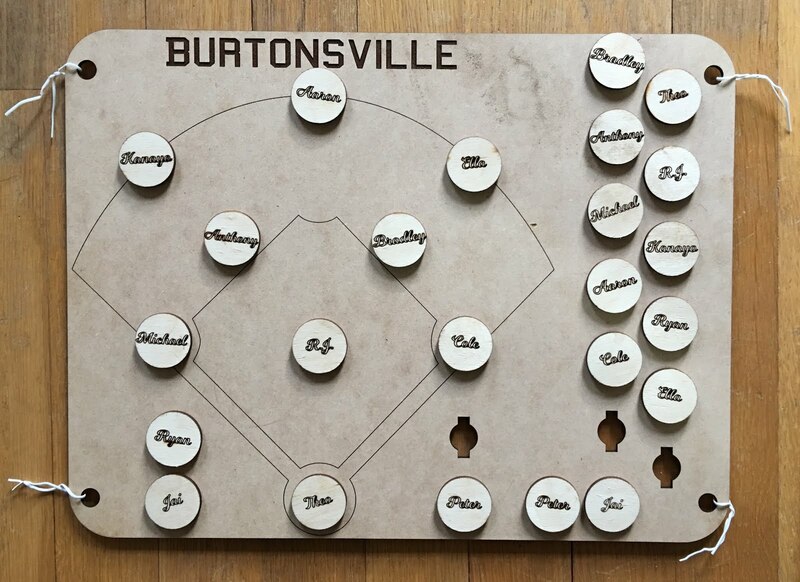 My youth travel team had our first baseball game of the season last night and it was the perfect opportunity to put the Glowforge to use. Yesterday I woke up and had an idea to solve the problem. 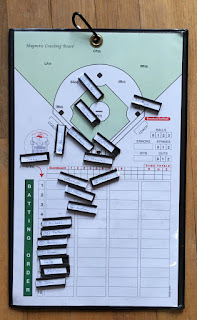 Within two hours, I had a prototype built and ready for the game, using draftboard and baltic birch. At last night’s game, it held up perfectly! No lost pieces, no headaches! The simple locking mechanism kept every piece in place even when the kids bumped into the board. 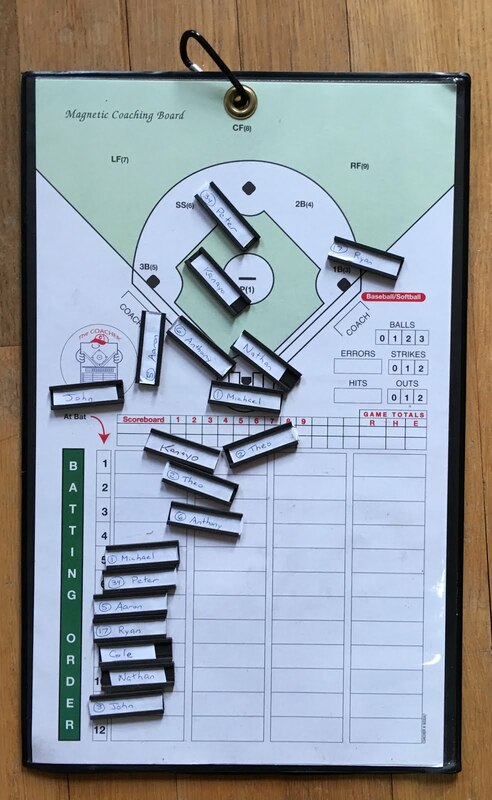 version 2 of the lineup board is already in the works - I may try a clear acrylic board, and use block print on the names so the kids can read it from farther away.